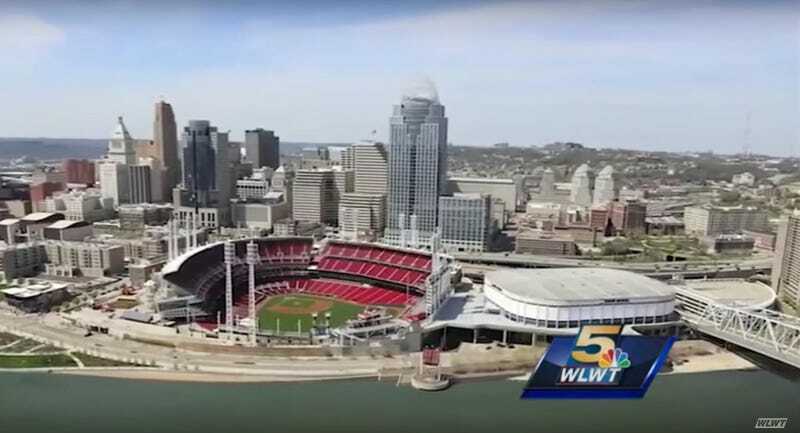 Earlier this week, the NCAA announced that the men’s and women’s basketball tournaments will be returning in 2022 to Cincinnati, Ohio, for the first time in over 30 years. The bid to bring back first- and second-round games was won by the owners of the former Riverfront Coliseum, the largest indoor venue in Cincinnati. But there’s a catch. The owners of the arena, the Nederlander Organization, said that in order for the stadium to host those NCAA games in five years, Cincinnati and Hamilton County taxpayers would need to fork over $350 million for major renovations. It’s one thing to hold a city’s pro sports teams hostage in order to extort hundreds of millions from taxpayers, but dangling the removal of something as ephemeral as a handful of early March Madness games is a whole new stage of desperation. No major pro team has ever played in the 40-year-old Coliseum, only a handful of minor league hockey teams. A shiny new arena would certainly check one box for Cincinnati to nab an NBA or NHL team, but they’d be in line behind several more deserving cities on the theoretical expansion list. Nederlander’s proposal is particularly misguided when you consider that Cincinnati is already struggling in the throes of the worst stadium deal in the country. Local taxpayers are still on the hook for $1 billion in public funding for the 17-year-old Bengals stadium, and they’ll be crushed by hefty payments for years to come. The terms of the Bengals’ lease also require residents to pay for all renovations and even are required to foot the bill for future technological upgrades that haven’t even been invented yet, like a “holographic replay machine.” In 2012, stadium costs ate up 16.4 percent of Hamilton County’s budget. Commissioner Todd Portune, a Democrat, said his message to the arena’s owner, Nederlander Entertainment, has been consistent since the company first floated the idea of using some public money for a $200 million renovation in 2015. If Nederlander wants a state-of-the-art arena in Cincinnati, maybe they can ask their billionaire partner Philip Anschutz to pay for it instead of funding anti-LGBT organizations.